Some projects stand alone in the Seattle/Bellevue condo scene. Cristalla would rank second to none on this list. Built in 2005, this unique Belltown project has been a staple of downtown condominium living. Its attractive facade and multiple amenities attract buyers of all walks of life. Developed by Murray Franklyn and designed by architects Weber + Thompson, the base of the building is a terra cotta façade of an Italian Renaissance building built in 1906, the Crytal Pool. The grand lobby includes an elegant staircase and a 2-story water feature. All homes feature hardwood flooring with carpeted bedrooms, creative spaces and most have captivating views. Studios, 1-bedrooms, 2-bedrooms and penthouses range from 420 to 2800 square feet. 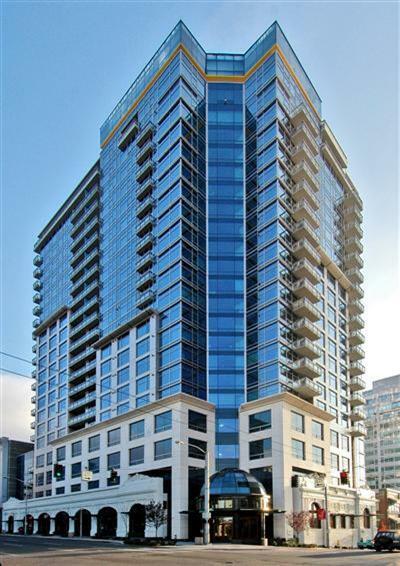 Cristalla continues to be one of Seattle’s favorite high-rise condominiums.